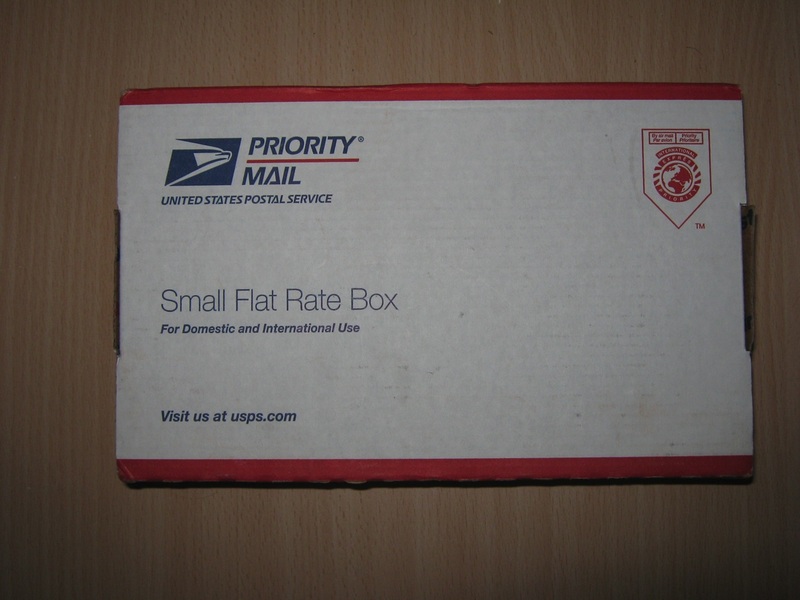 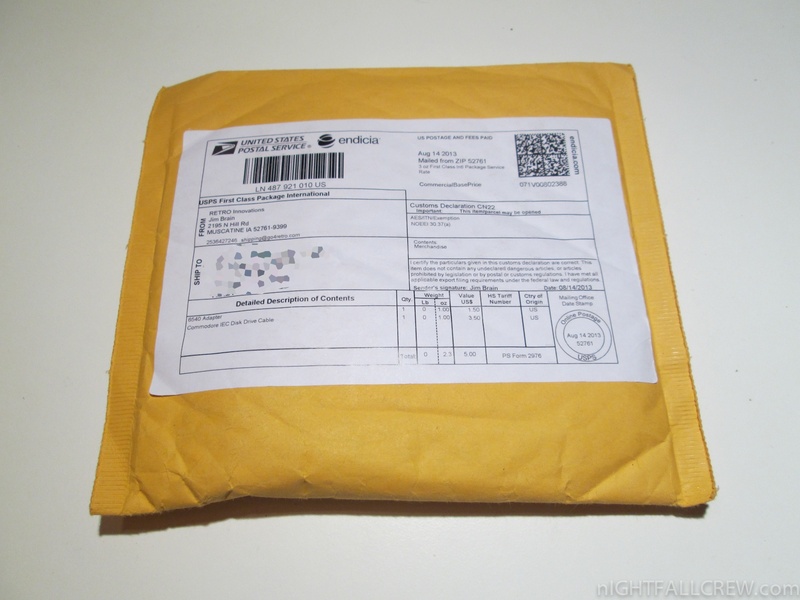 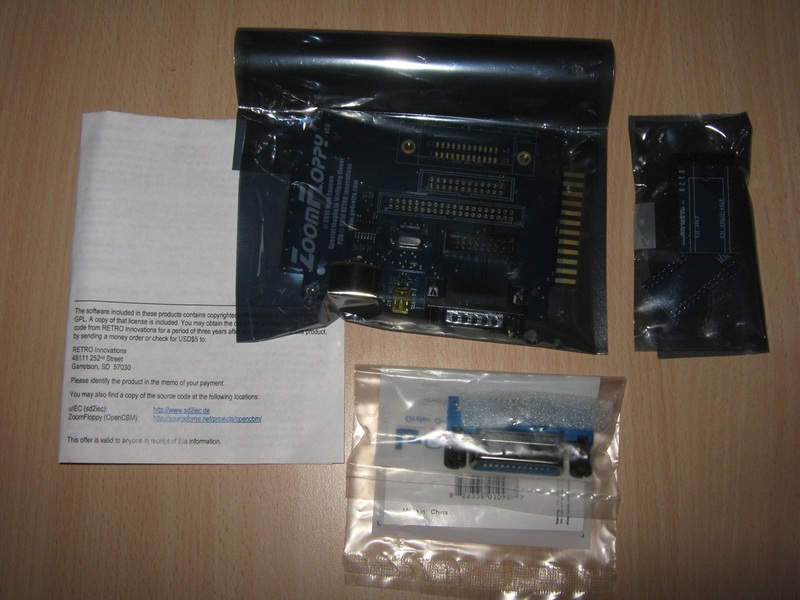 I bought a few things from the site Retro Innovations of Jim Brain. 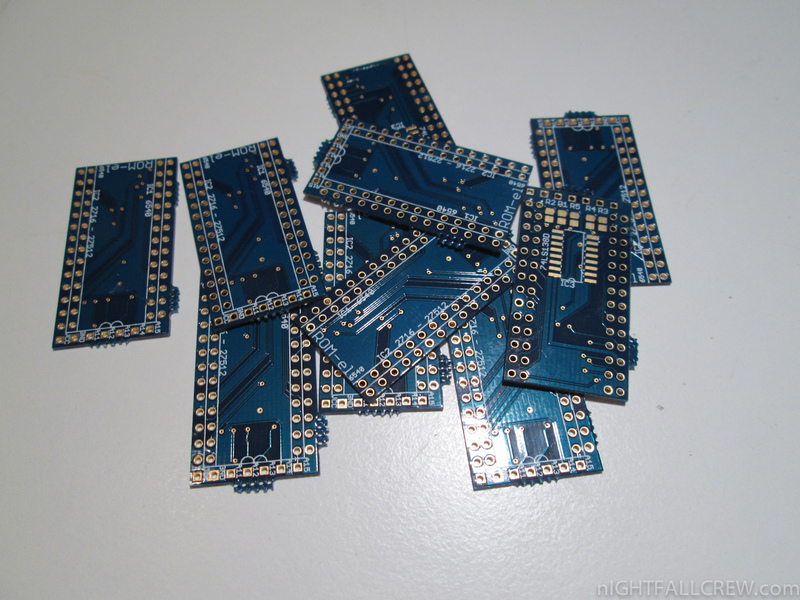 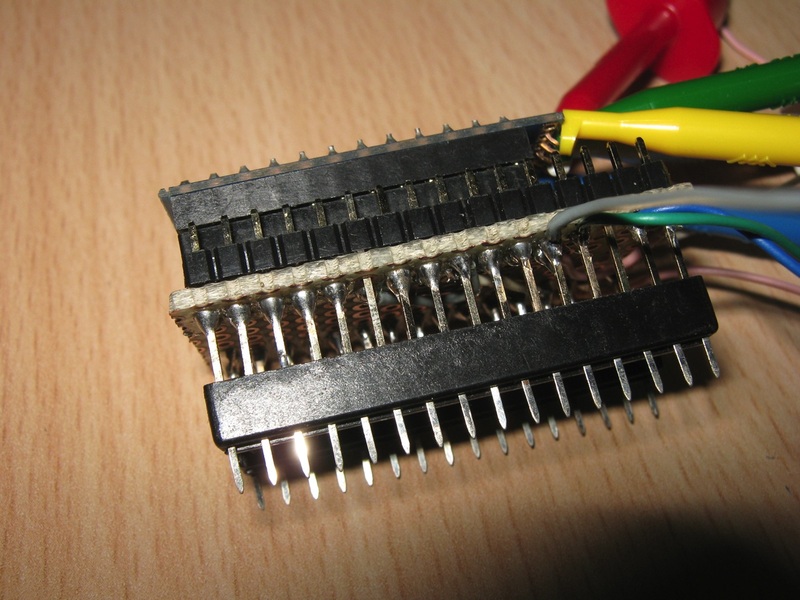 This PCB converts the MOS 6540 DIP pinout to a JEDEC standard 2764-27512 EPROM pinout. 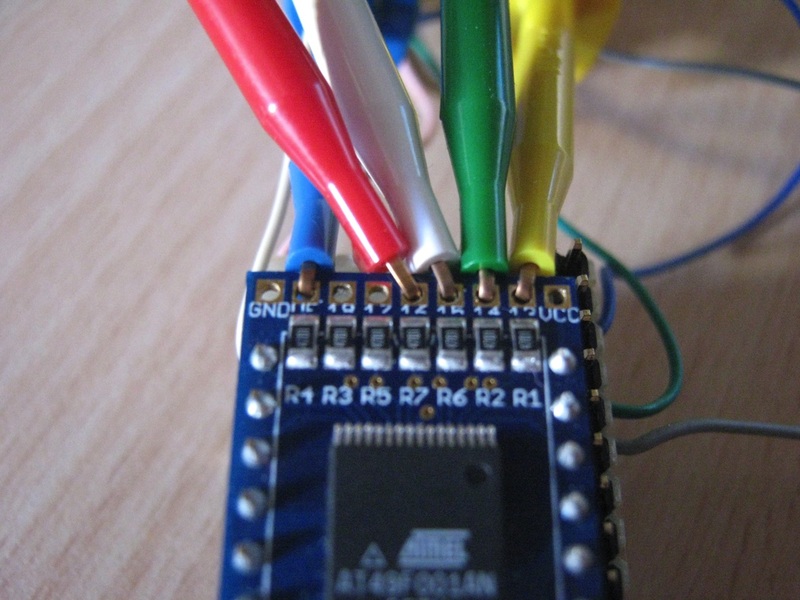 The optional 5 upper address lines are available via pads complete with provision for pullup resistors (10K). 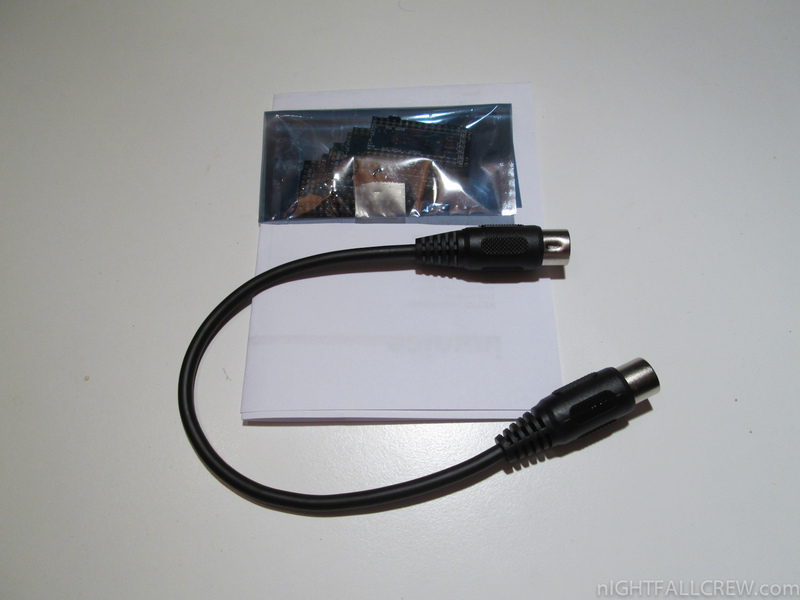 This very short cable is useful for my second Ultimate 1541. 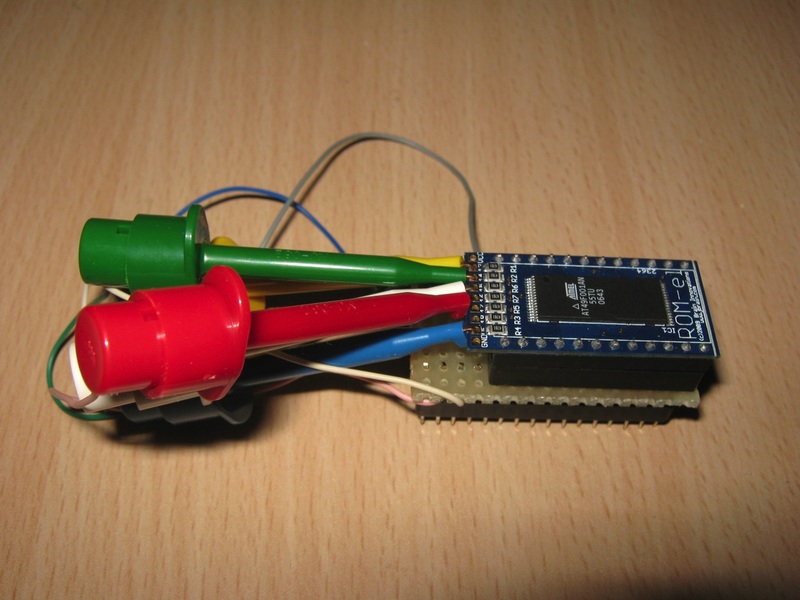 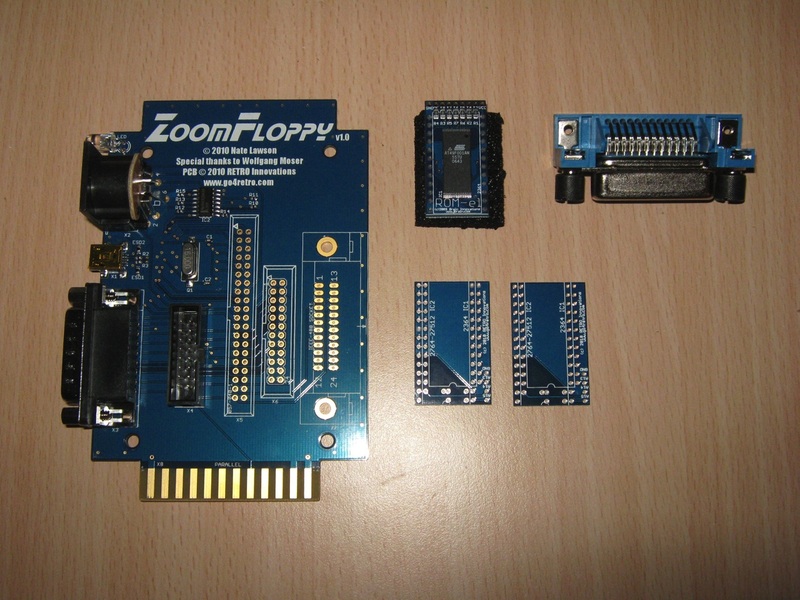 ZoomFloppy is an USB device for connecting Commodore disk drives to your PC. 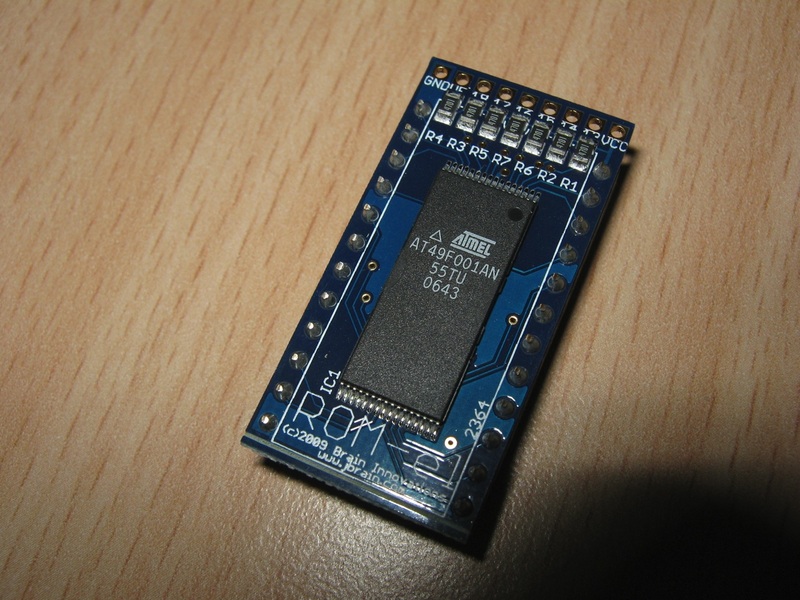 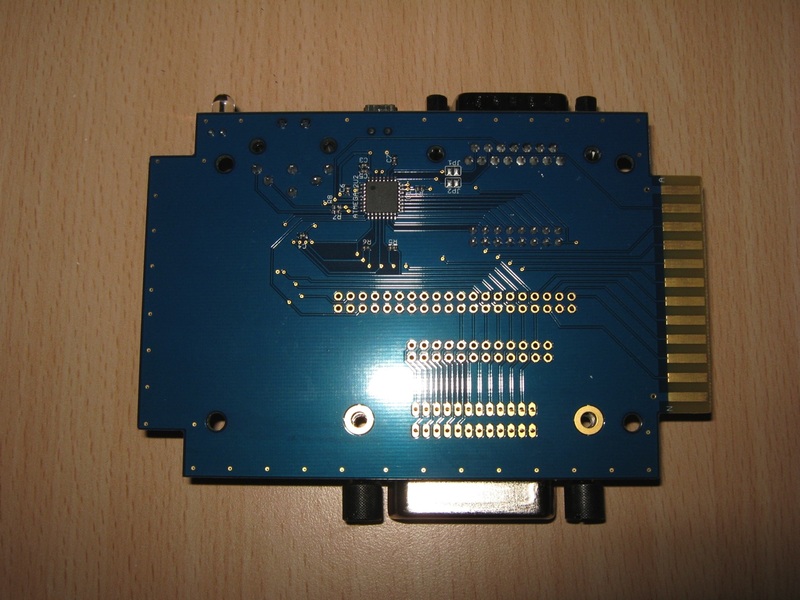 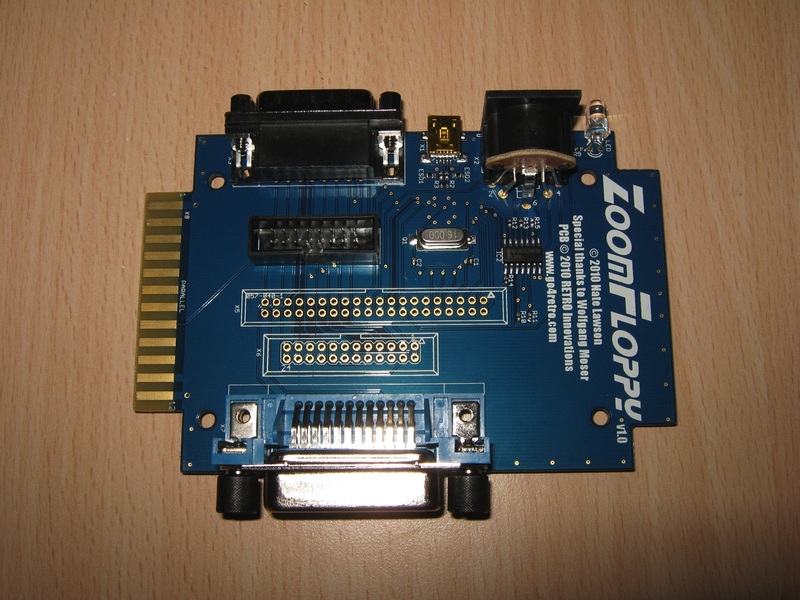 The ZoomFloppy is an improvement based on XU1541 from Till Harbaum. 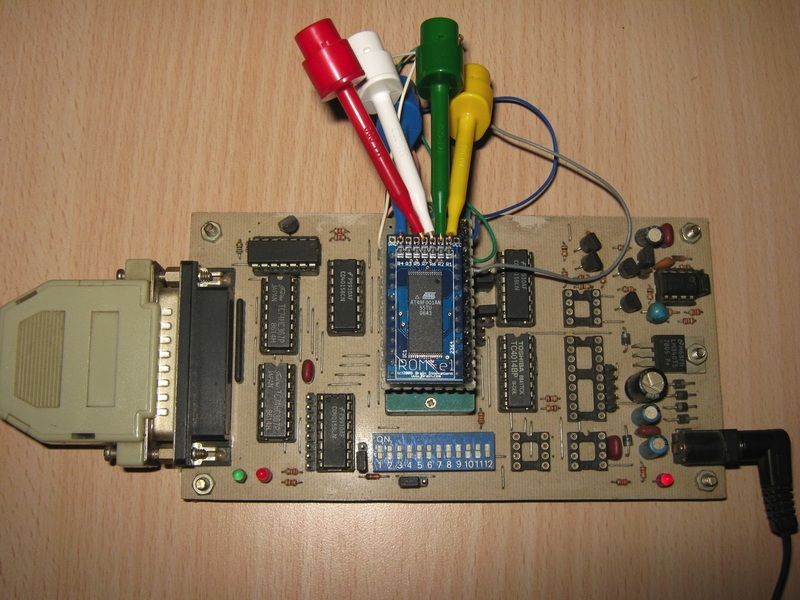 Nate Lawson and Jim Brain teamed up to produce a professional product. 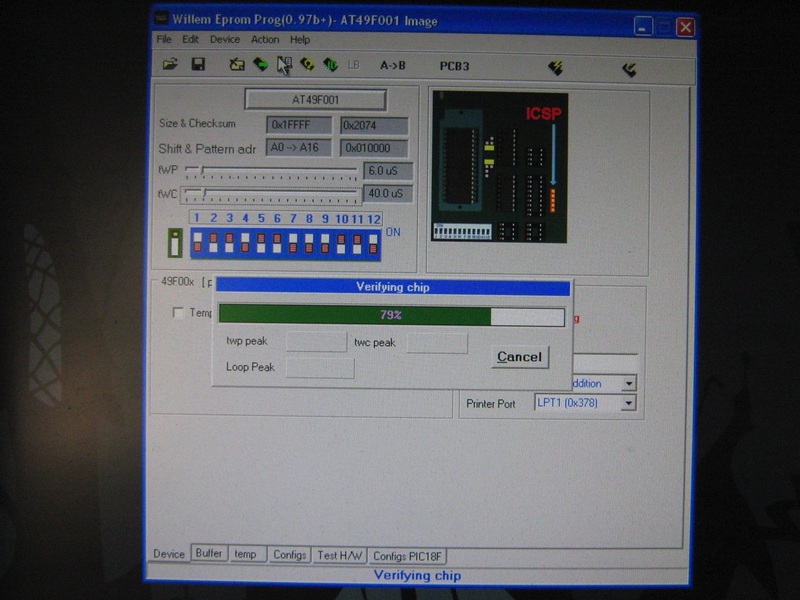 This controller will support IEC drives, IEEE-488 drives and a user-port connection for parallel.